I twist and turn down the bumpy sidewalk in my suburban neighborhood of Tokyo, and I feel the cool air hit my face. I hear the cars passing me, and I smell exhaust fumes mixed with scents from the corner restaurant. As I approach a pedestrian crossing I hear the screech of my brakes, and I’m reminded of why I feel at home here. I never thought riding a bicycle in Tokyo would become my favorite pastime. My husband and I moved to Tokyo just four months ago, along with our two young children and dog. 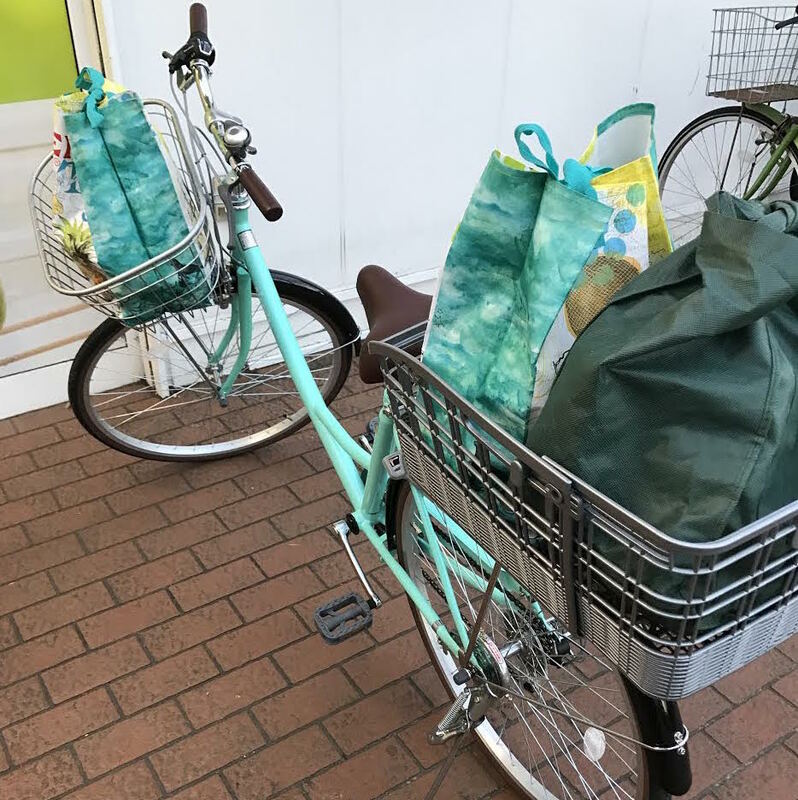 If you would’ve told me before we moved that I would end up riding a bike around town to fetch my groceries, run my errands, drop my child off at school and commute to language classes, I would’ve been so scared. Sure, I enjoyed riding a bike when I was 8 years old. I spent my childhood racing around my neighborhood. But as an adult? As an American who only used a car to get around? Surely not me. My husband was the first to purchase a bike at a local thrift store. Then we purchased one for me. I knew in my heart that I wouldn’t use it (and secretly, so did my husband). I feared that we’d purchase it and it would collect dust until the day I worked up the nerve to take it out. But fears have a way of getting buried when necessity creeps in. I was so tired of walking everywhere, particularly to get my groceries, so I decided to try it out. I loved it so much, I couldn’t stop riding. Every spare minute, I was exploring our neighborhood and town. 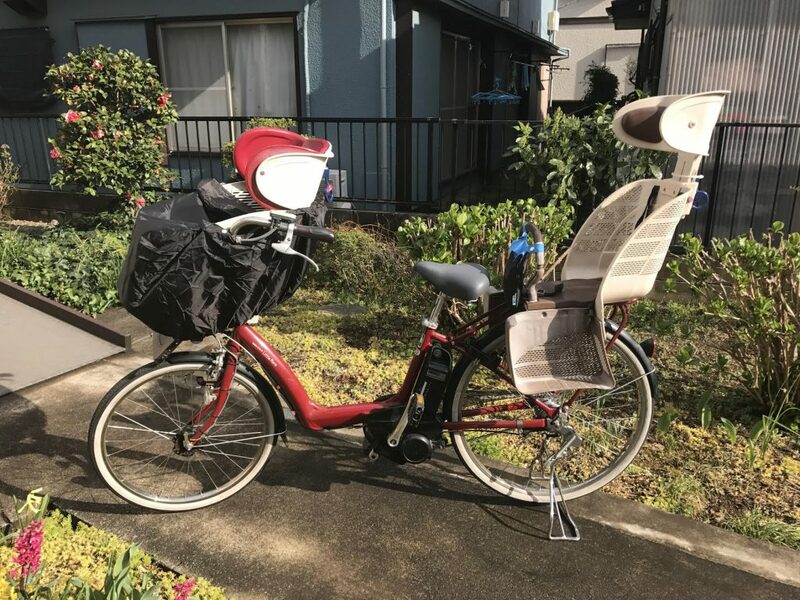 Then, a month later, we purchased our family “mamachari,” a Japanese slang term for “mom’s bike.” The mamachari is Japan’s answer for how to travel with children: a bicycle with children’s seats on the front and/or back. Before I knew it, I was riding around town with my children in my mamachari. Then a funny thing happened: Riding my bike helped me feel like I belonged here. 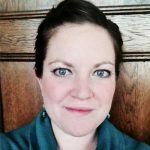 When I put myself into the community — I felt like part of the community. I wasn’t a foreigner on my bicycle. I was a person, in a crowd of other people, just riding her bike from point A to point B. I was no longer illiterate or unable to speak the language; I was just a mom taking her kids to school. When I ride my bicycle, I feel like part of the Japanese culture. My oldest daughter attends yochien (a Japanese kindergarten). Most children are driven to school by bicycle. When you arrive at the school, you enter through the gates to gaze upon a sea of mamacharis lined up neatly, row by row — a far cry from the rows of minivans I’m used to seeing in the carpool line. When school is dismissed, the mothers load their children onto the bicycles, and the sound of clicking kickstands and “sayonaras” (farewells) fill the air. 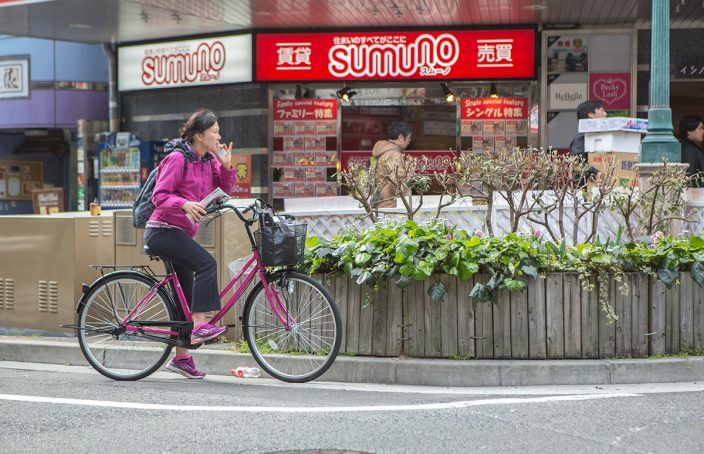 Before we purchased our mamachari, we would pass through the bicycle parking and walk on by. But now? We’re part of the school community. I pick up my daughter, and we walk to our bicycle. My foot hits the kickstand, and we say farewell to our new friends. We stand and smile and make chit-chat and ride together to events. Getting to know people in our community is difficult without speaking their language, but sometimes I wonder how much more difficult it’d be without my mamachari. Not only would my communication be limited, but how could I even get anywhere to communicate in the first place? Moving halfway around the globe can be challenging. At the beginning of my time here, I had difficult days. Days when I felt overwhelmed and thought I’d never fit into the culture. On those days, I’d take out my bike and ride. Have I fallen? Maybe. Have I tipped the mama bike on its side and had to have my husband help pry it off the pavement? It’s our secret. But overcoming my fears on a bike helps me overcome my fears on the mission field. My bike becomes a symbol of my life in Japan. 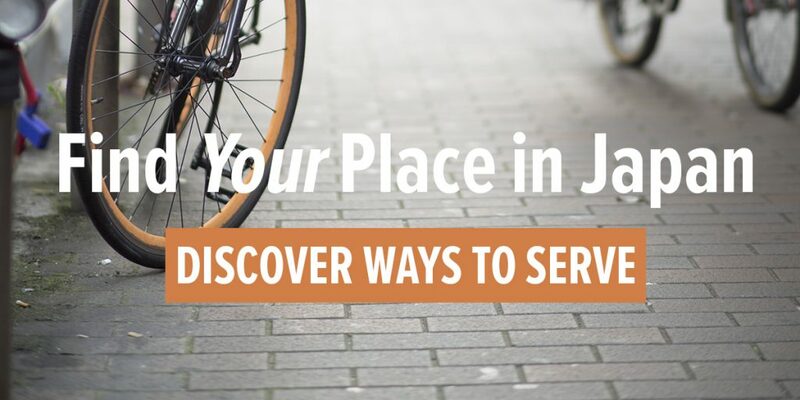 Exploring the city on my bike has become a bigger picture of my adventure with the Lord. Less than 1 percent of people in Japan are Christians, so the need is great for more workers like Kaytlin. Explore your opportunities to join her team in Japan now. こんにちは Konnichiwa, Matilde! Please feel free to contact me! Kaytlinbrock@teamjapan.org. Thank you! Wow! A child at front, and at the back? A special life. Yes when you go , you become part of the culture and will love it. I remembered serving in the north of GHANA after my training , I feared the weather condition there but as time went on l became part of it and love the people. Praying for you missionaries in the cultures.